Big Vac - 15 gal. Small Vac - 10 gal. Light weight 18” x 20” x 36”/65 lbs. 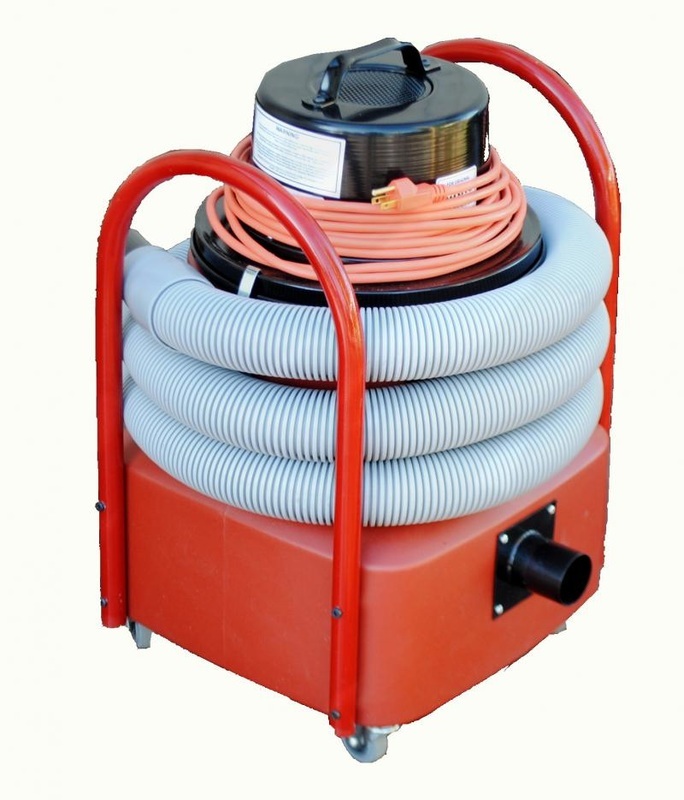 The Tri-Motor HEPA Vacuum is an extremely powerful and versatile system, designed specifically for cleaning air ducts, dryer vents and chimneys. 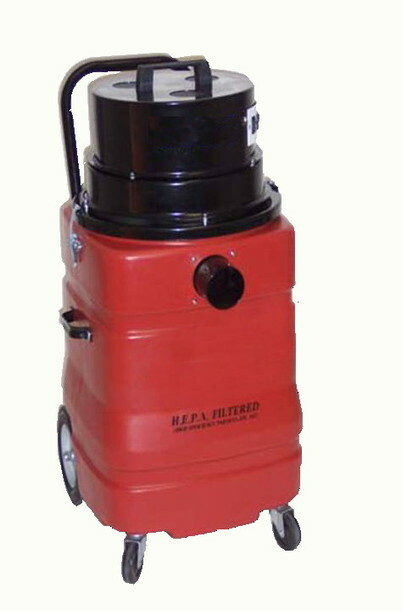 This vacuum features a four-stage filtration system including a 99.97% @ 0.3 micron HEPA filter. Debris can be loaded into disposable paper collection bags or directly into 4 mil. plastic bags for easy disposal. The Big Vac features a 15 gallon dent proof polyethylene tank (5 year warranty) and a durable steel motor housing that will not crack. Powerful yet compact, this unit has 2-front casters and 2-large 8” stair climbing rear wheels allowing it to be taken almost anywhere. 10 Gallon HEPA Vacuum - polyethylene tank, Hepa filter 99.97% @ 0.3 micron. Dacron collection bag and 2" x 10ft hose.